Hello, i moved into my unit over 18 months ago and i always had a foul smell coming from my bathroom sink recently i seen a bacteria mushroom growing out my bathroom sink where the water leak lands me and my daughter has been sick with upper respiratory infections since we lived in the apartment. can i get out my least if so how do i go about doing it. The Chicago Residential Landlord and Tenants Ordinance states that if a repair issues renders the unit not reasonably fit and habitable a tenant can give the landlord a notice stating that if the problem is not resolved with 14 days from the receipt of the notice then the tenant can terminate the lease. MTO http://www.squaredawaychicago.com web app can help with constructing the letter and documenting the problem. It would be helpful if you could get a doctor to state that your daughter’s respiratory illness may be the result of this problem which then would make the unit not reasonably fit and habitable. Currently in Chicago there are no laws covering mold. It may be difficult to enforce anything. Under the Chicago Rental Ordinance: failure to prevent the accumulation of stagnant water is a violation of the law. The recourse is give the landlord a 14 day notice stating if the problem is not resolved within 14 days then the tenant can hire someone to remedy the situation and deduct the cost from the rent. Actually, the City of Chicago recognizes that mold can pose a significant health hazard, and mold remediation is therefore covered under the following legal language from City housing ordinances, to wit: “Landlords are required to..” “Maintain the building’s foundation, exterior walls, and roof in good and watertight condition;” if there is mold, the building is definitely not watertight, and, ipso facto, the mold is a resulting occurrence of such standing (or accumulating) water. 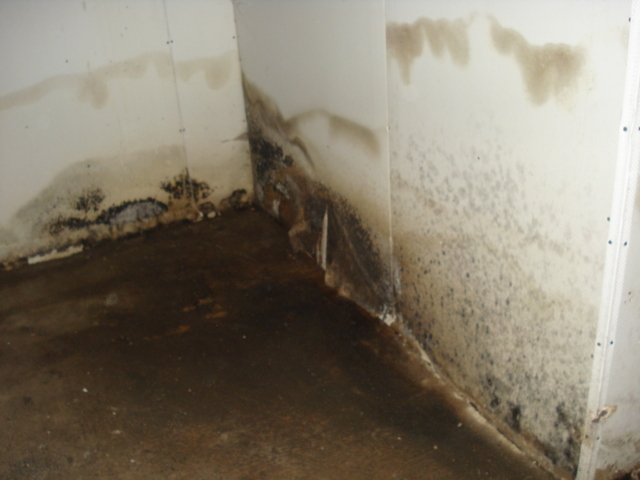 No Cook County judge would entertain any argument denying that the accumulation of water can and usually does cause mold growth, and that in fact, mold growth is almost entirely a result of water damage. Such an argument doesn’t “hold water.” So, in a general sense, there is protection available to tenants who find mold in their apartment, even if no specific language exists, but only within the confines of the City boundaries. After that, tenants must look to ILCS (Illinois Compiled Statutes) for relief, but I am reasonably certain that mold is also covered by statutory definition as well. It would of course require some basic legal research to verify this avenue of relief, which any citizen can perform at a public library, if not at home via commonly available search engines. What you say is true. Tenants will general have to complain that there is a leak in their unit to get an inspector. Mr. Scotsman Sounds like youre an attorney. Did you sue for the mold? MTO does not have any attorneys on staff. Would you like a referral to an attorney? 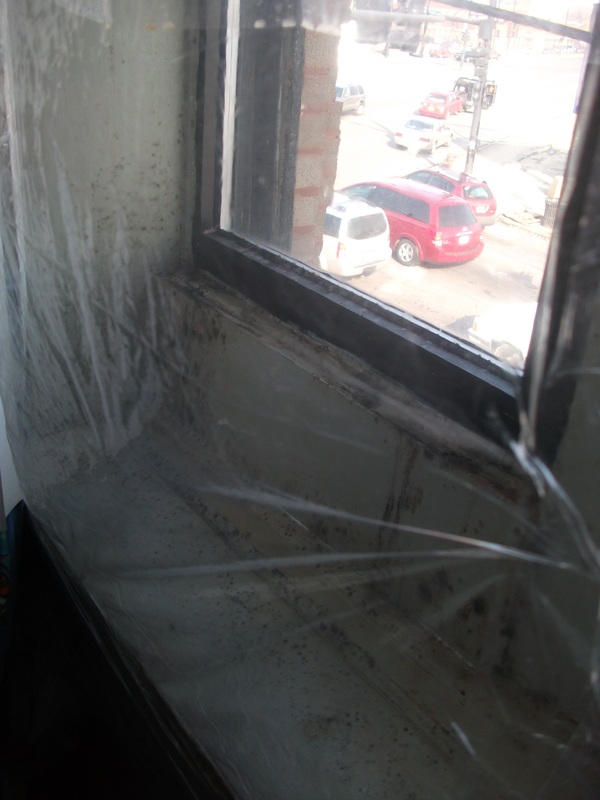 I am finding all sorts of information regarding mold for residents of the City of Chicago. Where do you go for help if you live in the suburbs? Our apartment flooded on 7/23 and it’s literally half a block outside the city limits. Our landlord told us to rip out our own carpet (even though our lease says that is his responsibility) and told us to just mop everything down with bleach. Three days later, he called and said he was picking out new carpet to reinstall. I called 2 water restoration companies to come give a free estimate and they both said that the apartment needed to be torn down to the studs, aired out, sprayed, and all new drywall. Testing showed that the area behind the walls was wet 4-5 feet high in all the rooms, and this was sewer water that had backed up. We ended up moving out (the landlord is aware of this and said we didn’t have to pay rent while the place was uninhabitable but refused to put it in writing)and told him that we wanted out of our lease. He said OK. Now the landlord is giving us the runaround in terms of returning our security deposit. He also says he isn’t planning on fixing everything that was recommended because his insurance doesn’t cover sewer backup. He has said that he’ll let us out of our lease but is refusing to sign anything stating that fact. He also said that work wouldn’t start for another week but then brought a demo crew in 2 days later before all of our belongings were moved out, and unplugged the refrigerator, which spoiled all our food. Now some of our belongings are ruined, broken, and are sitting in a common area where anyone could steal them. He and I had a heated discussion over the phone about all this and I told him if he didn’t stop lying and breaking all the rules in our lease, I would see him in court to reoup the damages, our moving costs, and the full security deposit. I need someone to help me sort all this out and know what our rights are, but all I can find is help for Chicago residents, which we are not. Who do I go to for help in the suburbs? Our town says they can’t help except to send a Code Enforcement officer out – which they did and found 3 violations. But they can’t help me in terms of recouping the costs associated with our landlord lying to us about when demo was to start. Hi Cathie, I was wondering if you were able to find the help you needed in the suburbs? My family is going thru a situation similiar to yours. We are currently working to get a county wide ordinance on the books to give ALL residents of Cook County the same essential renter-protections that city residents enjoy. We could use your help so please contact us if you want to get involved. Regardless of your municipality’s legal protections, document everything. It’ll put you in a better position for whatever your options down the road may be. I wrote to you before but now I have a serious problem and I need some help. I mentioned in my previous email about the my flooded apartment, now the management company refuses to put me in another apartment stating that the flooding was a result of my neglience. The drain outside my backdoor is clogged and I have pictures to prove it. I have 2 severely disabled children and I cannot live in these kinds of conditions and I have not done anything wrong. I pay my rent on time and I havent had any problems with this company until now. Please help me I dont know what else to do or where to turn to. Have you called the City to request an inspection? They may be able to help. Why is the landlord saying that it is your fault. In most cases of flooding the landlord is going to be responsible to make repairs. In most cases the landlord will probably not be liable for damage to your property. Below is the law regarding fire and other casualty which would include flooding. My apartment has flooded three times over the past three weeks. I have notified the management company and still to this date they have not relocated me into another apartment. The apartment is not a condition to be lived in. I have been staying with my sister until they can relocate me or fix the flooding problem. Can I be compensated by deducting from next month’s rent the total of three weeks worth of rent since I have been displaced for the past three weeks. Also wat can I do. I have losts beds, clothing, and other items and was told by the property manager that I should have had rental insurance and they are not responsible for my items. As for damage to the tenants property, in most cases the landlord is not responsible unless the tenant can show negligence. My question is has this unit flooded in the past and does the landlord continue to try and rent it without disclosing the problems. Very valid, pithy, scuccnit, and on point. WD. I am having a severe problem with mold, however, it is in the foreclosed upon unit below me (now vacant/abandoned for 2+ years). What can I do? Case of ownership has been in the courts for months, in the meantime I’m dying of black mold poisoning… any help? Is this a condo and the with a different owner? If so that is a problem. You may want to contact an attorney, as maybe there is some way to hold the bank responsible. What is the condo association doing about this? It might be impacting other residents. This is not an easy question because your owner does not necessarily have any control over the situation. My apartment has had a great deal of issues. At the time that we moved in, we were padlocked out of the apartment, there was no gas (thus no hot water, heat, or working stove or oven), it was not cleaned (so there was sawdust everywhere, there was exposed drywall, as they had not completed construction, we had no mailbox, and no buzzer or doorbell (you can’t knock on the door because the gate around the building is locked). After several days, we finally have working gas (they had to replace the hot water heater because the basement flooded and they turned on the gas without realizing they hadn’t hooked up the heater), they put in working locks, and they cleaned. Our landlord offered us two weeks free rent for the inconvenience. However, it has become very apparent that there is something about the building that is making us sick- I don’t know what it is, mold, bad dry wall, or what. We have had constant headaches, severe congestion, stomach aches, and burning eyes. We cannot stay there any longer and do not know what our rights are for getting our security deposit and rent money back as well as being reimbursed for the cost of moving again (UHaul and/or storage unit, cost of a Comcast technician coming to the apartment, etc.). One of his workers said to us, not on the record because he could lose his job, that the inspections were not done on the building and it was never deemed safe for occupancy. Any advice would be SO appreciated, we are at a loss of what to do. A couple of thoughts. One is if possible it would be good to go to a doctor and document the symptoms and get the doctors opinion as to whether it is possible this is could be associated with your living conditions. If the workers said that it was not cleared for occupancy, you can call the City’s 311 number and request an inspection. If the unit is illegal or has not been cleared for habitation then you will have stronger case to get your costs paid for. It is is poor materials then it may be more difficult to assume get the landlord to pay because the owner may not have been aware of the problem. I think that you should contact an attorney to find out your rights. Hi, my landlord is renting out a house. We live upstairs. he moved a couple and their kid in. i payed $180 and $125 for ligts and water. they moved in on my light and water. can i withhold my rent until he changeit and they have their own water and ligt bill? It is never a good idea to withhold your rent without talking with an attorney first. Have you alerted the owner of this problem? I would start with a letter to the owner stating what the problem is and if you have a proposal regarding how to remedy the situation. How much were the bills prior to the family moving in below? Written communication is generally the best as it can be documented and there cannot be any disagreement as to what was said. I asked my landlord upon inspection after signing my lease to replace the baseboards as they were discolored and some had mold due to a previous water incident. There was also obvious mold spots on the pantry wall I suggested they replace. I believe all that was done was painting over. In the mornings of the two nights I have slept here my eyes have been puffy. I am concerned this is a result of my allergy to mold. Unfortunately it is a 2 unit building with the landlord occupying the other unit, so it seems to not fit under an ordinance I have seen referenced. What shall I do? I would start by talking with your landlord and let him or her know that your allergies are acting up and you are concerned that mold is growing in the unit. Maybe you can ask the owner to make a thorough inspection of the unit. You could request a city inspection by calling 311 though they will only look for visible mold or moisture problems. Have you checked o see there are any leaks anywhere under the sink? this could also be another source of the problem. It may be difficult to do anything about the landlord painting over the mold until it reappears. Hello, I recently had to end a lease early because I was having breathing problems in my unit due to black mold. I had mold samples taken and the lab found a high level of black mold spores in the samples. The landlord said she was going to have the unit tested when I moved out (that was one week ago). I noticed through MLS listings that the unit has already been re-rented. My doctor said I need to report this property to the city because of the lab documents I have. Is that true? I’d certainly hate for the same thing to happen to the new tenants. I am not aware of any law that requires you to report this to the City or for the landlord to disclose the issue. Certainly landlords are required to report all known building code violations that have been cited by the city in the past 12 months. It does not sound like the City cited the unit. If you doctor knows the law that requires reporting, we would like to know it. You might call the City’s Department of Health to see if there is anything that can be done. Certainly, we believe that there should be a law that requires the landlord to disclose this information. Without having much more information it is impossible to answer this question. Do you live in Chicago? Does the owner live on the premises? How many units are are there on the premises. When you say during the flood, did you unit get flooded. There are laws governing fire and casualty which could apply. Have you made a written complaint to the owner. In most cases that is the first step in asserting your rights. As for paying rent, once again if you are able to live in a unit it is probably worth something. You should contact an attorney regarding paying rent. Finally the law for terminating lease if there is not a fire or other casualty is the problem has to make the unit reasonably fit and habitable. That is a very subjective assessment and one that I would not feel comfortable making though as I mentioned previously you may be covered by other sections of the law if there was a flood. This “MOLD FAQ” section wasn’t very clear as to my rights so I’m hoping someone can help. My roommate and I moved into a rental several months ago in Chicago. This summer, we have started to notice water and mold damage throughout the unit and with the storms and warm weather, it’s getting worse and affecting my allergies. It’s also causing the window and door frames throughout the unit to split open, allowing more mold and water to come inside. We’ve contacted our landlords over 30 days ago, and since one of them went on vacation, the other landlord has been less responsive in taking a look at the issue. My fear, based on working in the construction industry, is that we’ll have to relocate during the repairs, as I think a mold specialist will deem the unit inhabitable. Therefore, what are my rights to reduce rent until this issue is fixed, and if we have to move, whether temporarily or permanently, is my landlord responsible for any of the costs to relocate? It may be possible to say that the mold constitutes an immediate danger to your health. A doctor could verify this. You could request an inspection of your unit from the City by calling 311. If you are covered by the Chicago ordinance you can withhold a portion of the rent. Here is a link to some sample letters. https://www.tenants-rights.org/category/landlord-tenant-faq/apartment-conditions-repair/. We came home to a 4 by 4 foot hole in our ceiling from water damage containing black mold. We would like to move out asap because of the obvious health concerns. My question is if our landlord is responsible for relocating us to a new apartment. The Chicago landlord and Tenants Ordinance does not really cover this issue of relocating. Certainly the landlord has to make repairs if the damage was not caused by you. Have you contacted the landlord? Just discovered MOLD on the drywall in master bedroom. It has been obvious that there is water intrusion… and NOW WHAT? The apt I live in has visible water intrusion and appears on the concrete and there is a white flaky substance falling from area into room. It maybe efflorescence. How do I know for sure if there is no threat of mold? My son’s asthma has been worse since moving here and I have had chronic symtoms of mold illness. QUOTE:Being porous, concrete retains moisture. Very often, you may notice water stains on the lower portion of blocks that retain water. In most cases, you would observe such staining initially at the corners and slowly towards the mid-portion of the wall. On other occasions, you may notice a fluffy white substance known as efflorescent, mistaken as mold. Efflorescent is actually the lime deposit left behind from the moisture that seeps through block wall. Though completely different from mold, its presence indicates moisture intrusion and mold formation. I have photos, but cannot seem to paste…? I just signed a new lease for an apartment, and have yet to move in. After signing the lease I discovered that the fridge has mold/mildew growing inside in places that are not accessible, so therefore cannot be cleaned. The odor coming from the fridge and freezer is so strong that it burns my nose. There is absolutely no way i can store food in this fridge. I brought it the landlord’s attention, and their response was just basically “oh well it’s an old fridge”. I asked them if they weren’t willing to replace it, could they at least remove it so I can bring in my own fridge, and they wont even give me a straight answer on that. They keep giving my husband and I the run around and are avoiding our calls. I’m supposed to move in this weekend, but obviously can’t if I have nowhere to put my food. What can I do in this situation? Are they responsible for providing a new fridge? Can I break my lease (which was effective Jan 1st) and get my money back? Can I withhold the money for a new fridge (under $500) from my next month’s rent and just take it upon myself to order one? This question is better answered by calling our hotline the number is below. I cannot answer it in total because municipalities have different laws. For instance in Chicago there is no requirement that the landlord provide a fridge. However if the lease says that the landlord is going to provide a refrigerator then it needs to be safe working and usable order. It sounds like it is not usable. It is in the lease then it is the owners responsibility to fix it. Then there are steps that you can take to get repairs though that once again depends on where you live. The state law allows tenants to give teh owner a 14 day notice to make repairs and then allows you to hire someone to make the repairs and deduct the cost off the rent. To use this it must be a violation of the lease or the building code. I have mold growing in my apartment in 2 places in one bedroom. I have contacted my lindlord about the mold but she has not repaired the problem. I live in a condo and she stated that she has to contact the condo board; that was over 30 days ago. Can I break my lease because of this mold problem? This is an excellent question for our hotline because we need to know how serious the mold problem actually is, has any of your property been damaged, and if your health is being demonstrably impacted. It will also depend on whether you are covered by the landlord and tenants ordinance. See below for the number and hours.